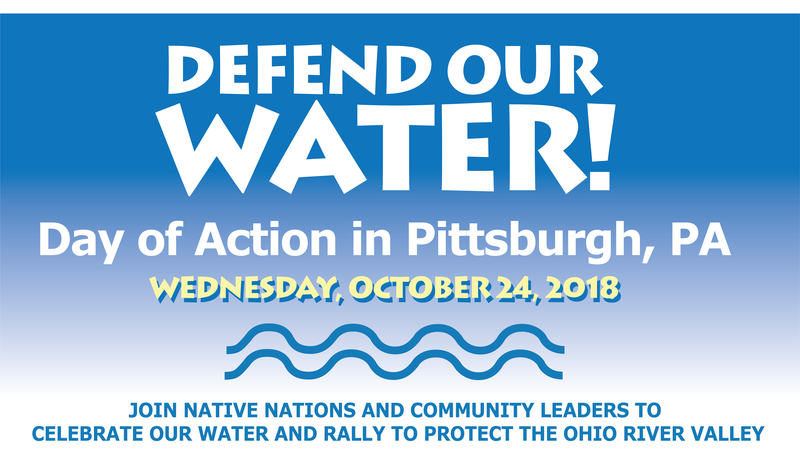 Defend Our Water: Day of Action in Pittsburgh! Native Water Ceremony - 10 a.m. Led by Degawenodas, Wolf Clan of the Seneca, and Ojibwe "water walker" Sharon Day. Stand in Solidarity with members of the Seneca community and other Native and faith leaders to protect our rivers and waters. Women make the offerings for the water. Bring a small amount of water from upstream of the river or creek near your home to add to a pail of water we will carry. Women wear long skirts to show our respect for the grass, for mother earth and for ourselves. Men support the women and carry the eagle feather staff. Everyone can be present to support the ceremony! 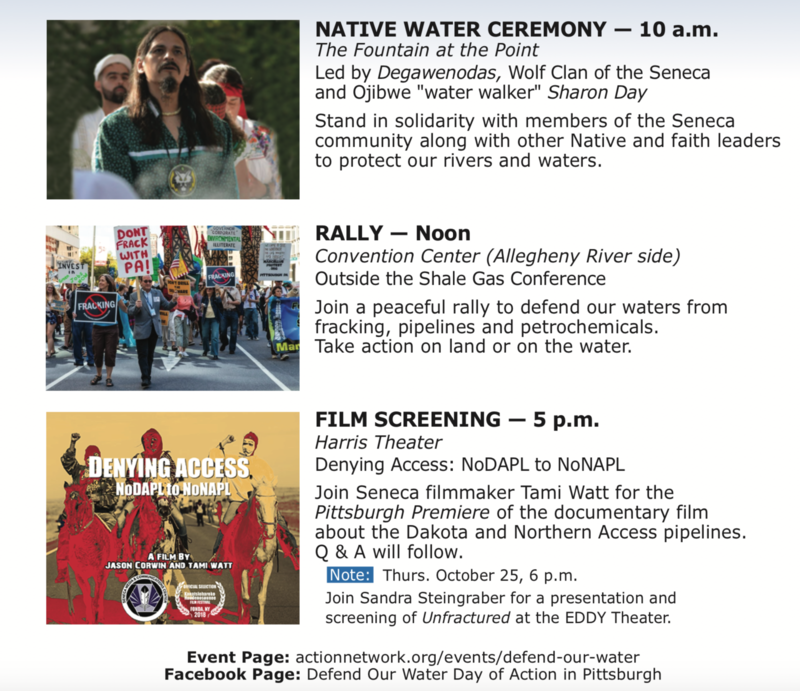 Film Screening - 5 p.m.
Join Seneca filmmaker Tami Watt for the Pittsburgh premiere of the documentary film about the Dakota and Northern Access pipelines. Q&A will follow. A special presentation by Dr. Sandra Steingraber and screening of the award-winning documentary film Unfractured at the EDDY Theater on the Chatham University campus in Shadyside. Filmmaker Chanda Chevannes will introduce the film and Dr. Steingraber will take your questions. Special thanks to: Better Path Coalition, Marcellus Outreach Butler and the Falk School of Sustainability & Environment at Chatham University.